DoLittle Solutions is an Events Management company based in Tower Hamlets, East London which aims to give young people a step up into employment. 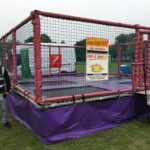 The organisation delivers a range of events from the impressive annual Festival of Communities in Stepney, through to private hire events such as weddings and corporate parties. DoLittle has a bank of young workers, who contribute in diverse ways for example stewarding, putting up marquis and structures, welcoming and managing stall holders and activity providers, or working on security. Young people also involved in the planning and organising of events. Founders of DoLittle Solutions, Shah Rahman and Sotez Choudhury both grew up in Tower Hamlets. With backgrounds in campaigning, youth work and community organising, both feel passionately that key to the regeneration of the area is helping young people to get good jobs. They found a niche in the market for events management and set up DoLittle Solutions. To keeping a flow of new trainees coming in for DoLittle, Shah and Sotez maintain good community connections with local youth clubs, boxing groups and sports clubs. In 2017 DoLittle Solutions received a £10,000 grant from Power to Change’s Trade Up programme. Trade Up is a unique scheme because the grant that participating organisations receive is linked to their trading activities. If they can show an increase in income from trading in their management accounts, the Trade Up grant will match that additional income. 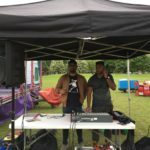 With their grant, DoLittle have been growing their stock of equipment, have purchased a bigger van, developed new business and gained new contracts to deliver community festivals. 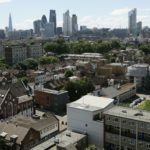 Many council housing estates in Tower Hamlets suffer from high levels of poverty and isolation, and high levels of unemployment – sometimes with no-one working within a household. For minority ethnic groups there can also be a language issue – young people growing up in families who speak their own language at home, sometimes don’t have the chance to develop the interpersonal skills needed to get on in the workplace. 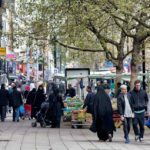 Employment is key to the regeneration of Tower Hamlets. The aim of DoLittle Solutions is to support young people into work where they can build their skills and self-esteem and develop themselves. For many, working for Dolittle is their first job, and DoLittle’s measure of success is when their young employees progress onto the next job in their career. Aspirations for the future are to make the jobs programme more formalised. The management team are thinking about how to deliver this is a more structured way, signposting young people to more formal job opportunities, firming up their relationships with employers, and recruiting people directly from the job centre. Dolittle is aiming to become a well known half way house to employers, giving people experience at solving practical problems on the ground.